I’m always very happy to have those conversations but I thought I might attempt to bring a bit of clarity to people considering an ILM Qualification in Coaching & Mentoring to progress their career. 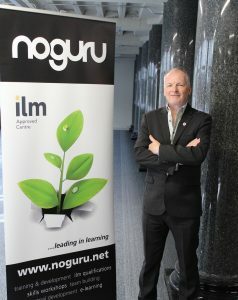 An ILM Coaching Qualification; how will it help me? I recommend that anyone in a coaching role considers getting a recognised qualification. It makes sense as Coaching is coming under increasing scrutiny as a profession with much debate about the quality of provision. Clients want to know their coach has received adequate training and people commissioning coaching will consider competence before contracting a coach. I have been involved in tenders for contracts where commissioners specified the qualification level of coaches required within the framework. For the individual, we have seen how our ILM programmes have opened up new opportunities, both for people working within an organisation and consultants or freelancers who now have an additional and credible tool or service that can add value to their client base. In summary it makes you credible and attractive to anyone commissioning you and gives you the confidence to believe you are now ‘the coach’. What Level of Coaching Qualification should I go for? This would suggest a Level 7 Certificate or Diploma may be right for you. Academically it suggests something at masters degree or post grad and requires a greater understanding of coaching in a strategic arena. We take particular care that people registering for this level are able to practice their coaching at a strategic level and can in some cases support them in finding ‘clients’ for the practical elements. Freelance Executive Coaches need this one. The Level 5 Certificate or Diploma would be ideal for this target audience. This is also a substantial undertaking requiring in depth knowledge and demonstrating practice. It is broadly equivalent to a foundation degree or some other types of degrees. I always recommend this to people working in large organisations going through change or growth and where there is an opportunity to introduce coaching as a development tool in the organisation. It is really useful to consider this within HR or Training functions and clients have asked us to deliver programmes to entire teams. Level 5 may also be useful for those starting out as a business coach at the smaller end of the SME market and we know from experience that many people want to get involved with start ups or helping people transition from employee to self-employed business owner. Level 3 provides a foundation and is useful for people in a training role or coaching front line staff or team leaders. It provides a route into a training or development type role for those in an operational role and can open up some great career opportunities. 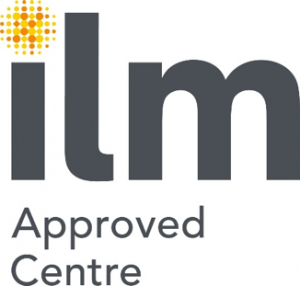 The ILM Level 3 is highly work contextualised and suits larger work places e.g. large contact or service centres are ideal. Your prior academic experience, continuous professional development and experience at the various levels is fairly important in choosing your path and we always discuss this prior to registering you with ILM. Why do you want to do this qualification? What context will you be coaching in? Both our Level 5 and Level 7 qualifications have the option of achieving a Certificate or Diploma. The difference between the Certificate and the Diploma is around the practical element and the ‘extended’ period of coaching for the Diploma. This carries additional credits (a measure of your learning). This table shows how many hours coaching you need to provide evidence for each level at Certificate and Diploma. There are some other requirements around how you access supervision under the extended period but this is the main difference. The Diploma should be undertaken if coaching is a significant focus of your role. We often get asked how many people (clients) you need. Just as a rough guide we would normally expect you to work with a particular client somewhere between 6 and 12 hours in total for coaching (though mentoring relationships may be longer). We believe the Certificate at both L5 and L7 can be achieved in a 9-12-month time frame but it varies according to the individual. The Diploma is harder to quantify, and we generally meet with those candidates to identify a realistic timeline. Making good progress early in the programme generally means candidates complete in excellent time. This article is simply to help guide your thinking. I will always have a call or a meeting with a prospective ILM candidate to identify what is the right qualification for you at this time and how we can help you progress. I want all my candidates to succeed. After all many of them are self-funded and it’s important to me that they not only enjoy the classroom sessions and engagement with the wonderful people we have on our cohorts but that they come away with a recognised Qualification to further their goals and aspirations. One thing we do know is there is a direct correlation between attending our (now monthly) tutorial sessions and achieving the qualification. These are provided as part of our programme and follow the 6 classroom dates. I really enjoy these sessions because I can see people remove the fear of assignments and become inspired to go out and develop their coaching practice and ultimately their ILM Qualification. If you are thinking about a Qualification in coaching & mentoring I would be happy to have that call or cup of coffee and a chat.